Joachim has led the growth of our agency group in the Nordics since the end of 2016. He is passionate about bringing ideas and technology together and building relationships with clients and teams. 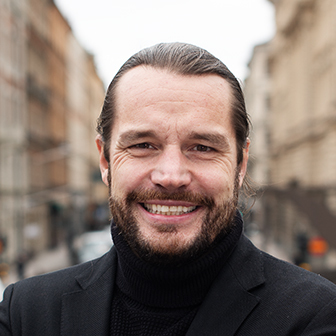 Prior to joining T&P, Joachim spent 11 years with MediaCom working in various roles at MediaCom London and MediaCom Stockholm, including Chief Client Officer for the Nordics, Business Director for P&G in EMEA and Global Client Lead on Gillette. Joachim holds a Master of Business Administration as well as a Bachelor of Arts in Marketing & Advertising and has been reading UK and Nordic advertising trade press since high school…the poor soul. When not working he’s probably spending time with his 3 kids and wife in Stockholm, or going for outdoor runs to think.